From a visit to the Biodome. 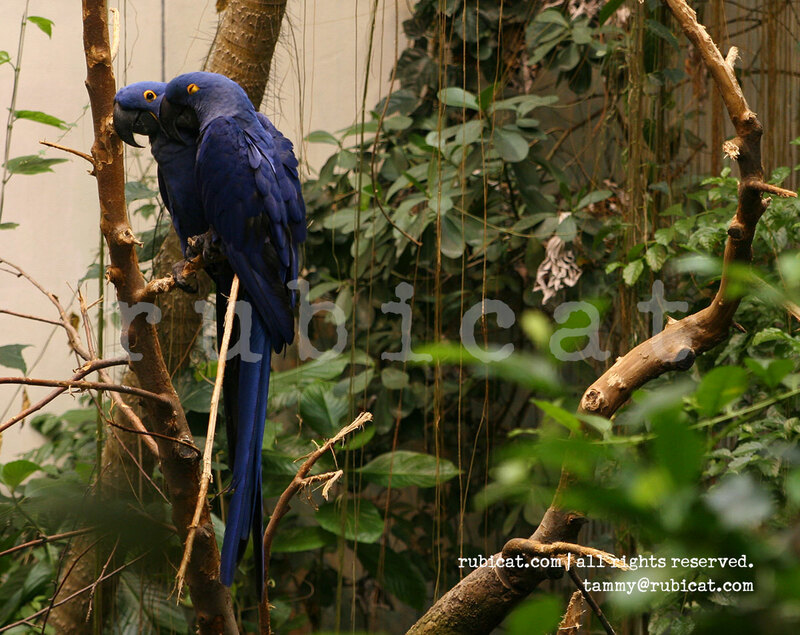 I adore Macaws in general, and the brilliant blue of these two stood out so beautifully against the leaves. They were grooming each other. Next i say no to donuts.